The group was a little smaller this year so this is actually all of us. 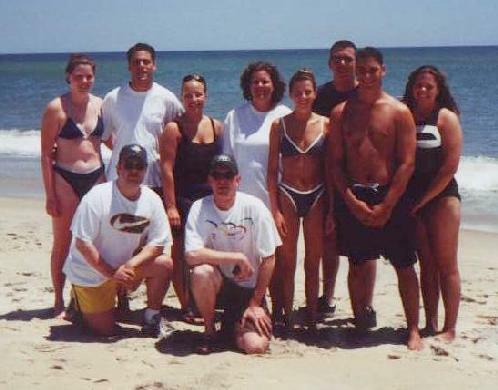 From left to right: Jen, Gabe, me (kneeling), Becky, Dan (kneeling), Dawn, Jackie, Steve, Josh and Kim. Funny story, the couple that took our group picture last year also took it this year. Our fun at the house. Our fun around the Outer Banks.